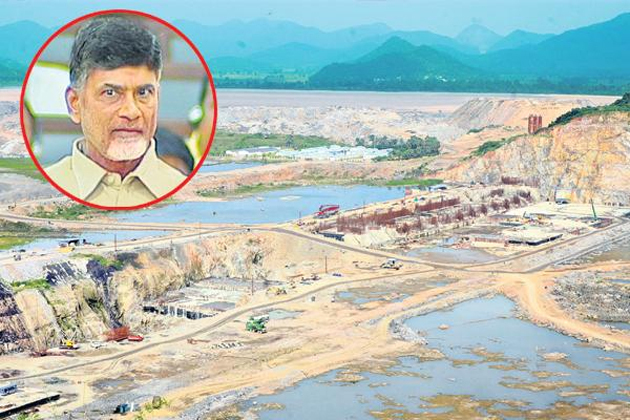 Is JC's Prediction On Polavaram Coming True? TDP MP JC Diwakar Reddy is as much known for his maverick ways as for his incisive comments. Though a TDP MP, long time ago, he predicted that Polavaram project under Chandrababu Naidu is going to end up as mere mirage. He said Polavaram can never be constructed during Chandrababu's times. There are many raised eyebrows within the TDP when he said this. But, now what JC said long ago is turning out to be true. This lifeline of Andhra Pradesh, that will irrigate as many as seven lakh acres and provide water to Vizag Steel Plant is in the making for several years. Chandrababu has proudly proclaimed that he would complete the project come what may by 2018. He said this ad nauseum. The is a national project fully funded by the Centre. But, Chandrababu took upon himself the responsibility of constructing it. This was aimed at benefiting his men by awarding them the contract. Till the other day, Chandrababu was boasting that he was reviewing the project every Monday and said it would be completed in the first half of 2018. Later, he shifted the goal post and said he would complete it by 2018 end. On Monday, he dropped a bombshell after visiting Polavaram. He said he would complete the project by December 2019. This means, he can do it only if the TDP returns to power, which, however, appears unlikely now. Many surveys are vouching for it. So, will Chandrababu seek votes claiming that he would complete Polavaram if voted to power? What if he is voted out of power? Which ever way, JC's prediction appear sure to come true. Modi Kill-Plot Seems To Be A Horror Film Story!